From tight hip flexors and hamstrings to achy knees and low back pain, running can certainly take a toll on the body. 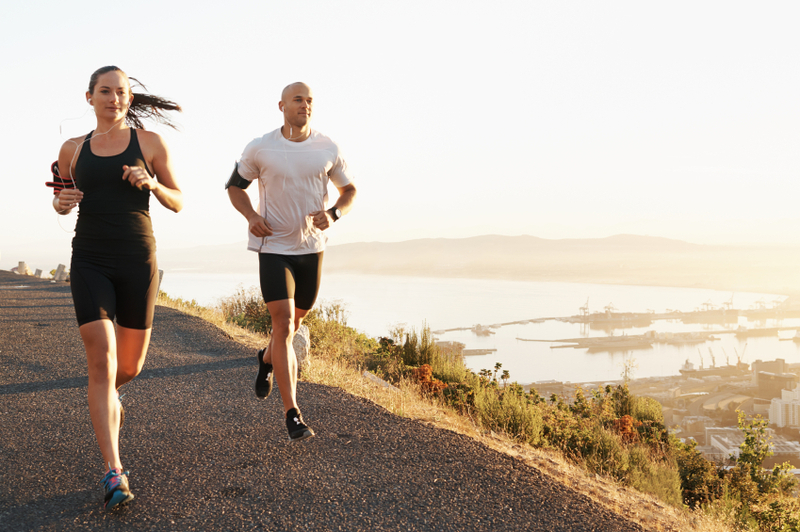 Over time, an activity like running can shorten and imbalance muscle groups in ways that can inhibit your athletic performance and cause injuries. The good news is that yoga can help. Yoga is a perfect complement to running, as it can help cultivate freedom, balance and flexibility in the lower body so you can stay injury-free and running for years to come. Hip, Quad & Glute Relief for Runners with Taylor: Regardless of how far or how fast you run, the muscles in the legs become toned and subsequently tighter. Work at breaking up the tightness, oiling the hinges and bringing mobility back into the hips, quads and glutes. Lunging sequences and hip-releasing stretches will bring space back into those tight, cramped areas. Props Needed: Two blocks and a strap. Achilles Flow for Runners with Tiffany Cruikshank: This instructional class will specifically target the lower legs to benefit the Achilles tendon for runners. Class includes some flow and long holds. The hips, hamstrings, calves and feet will be targeted to rejuvenate the entire lower leg and put some slack on the Achilles tendon. Props Needed: Two blocks and a strap. Core Strength for Runners with Darren Rhodes: This class offers the very thing it requires: core strength, which will stick and stay with you as you go the distance. This sequence works equally well before or after (not during!) your run. It also warms up and tones the legs, back and entire spine. Class begins on hands and knees for some spine, leg and shoulder warm ups. Then it moves into ab work. From there it flows through a series of low back strengtheners and ends with some standing poses to leave you feeling balanced and ready to go. Post Run Stretch with Claire Missingham: A class for runners that focuses on all the main yoga poses that help with flexibility. Hip Opening for Runners with Jason Crandell: An accessible, impactful practice that will help your hips recover after a run. You’ll unwind deep-seated tension in the muscles that surround your hip joint with reclined postures, low lunges, standing postures and seated postures. Soothe your lower body and support your running by releasing accumulated tension that can hinder your knees and lower back. Post-Marathon Practice with Felicia Tomasko: Just ran a marathon or feel like you did? This hip and hamstring practice that uses two blocks is entirely done on the floor, mostly on the back, without our usual forward folds and twists. Cultivate stability in the low back and hips with this practice that is cross-training not only for runners, but for the rest of the us.